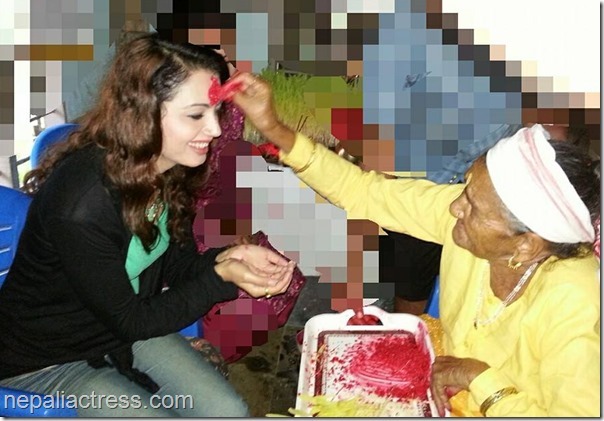 Like every Nepali, Nepali actresses also celebrated Dashain festival. Some actresses were lucky to be at home to celebrate, others had to skip the Dashain because of mishaps in their family. 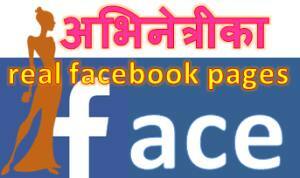 Some had to go to foreign countries to entertain Nepali living abroad. Although in a foreign land, actress Priyanka Karki, Komal Oli and others celebrated the festival by receiving Tika from actor Rajesh Hamal. 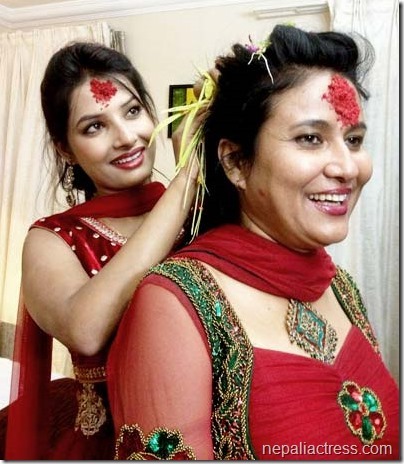 In the following photo actresses Sumina Ghimire and Komal Oli are seen smiling with red Tika on their forehead. 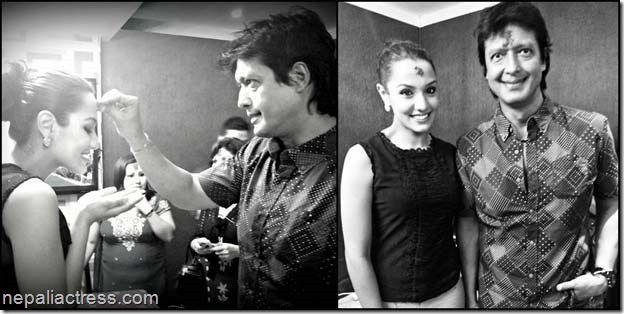 Priyanka Karki received tika from Rajesh Hamal and poses for a photo. 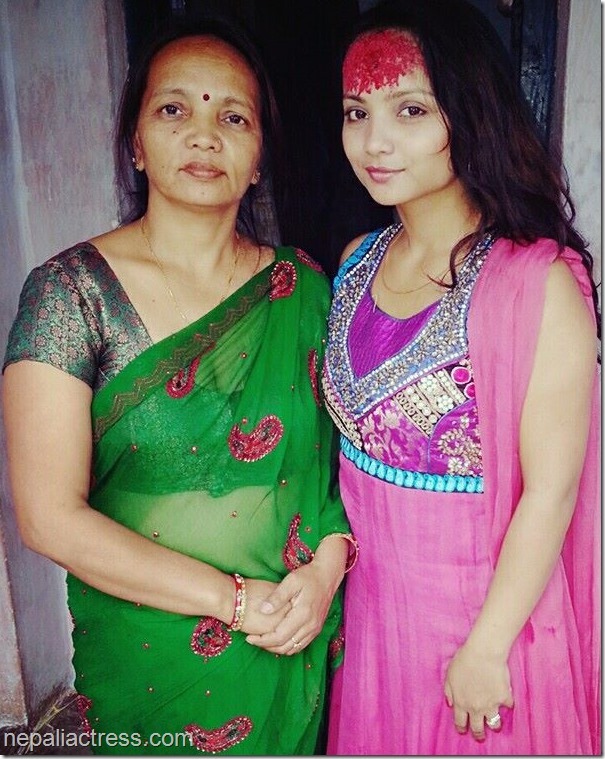 In the following photo actress Namrata Sapkota is posing with her mother after Dashain Tika. In the following photo actress Simpal Khanal is seen receiving tika from one of her grandmothers. 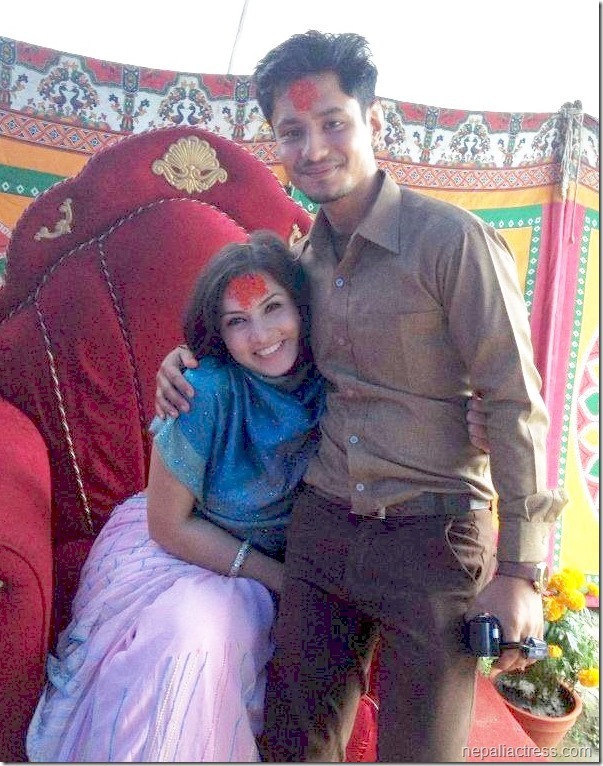 Actress Nisha Adhikari poses with her brother after Dashain tika. 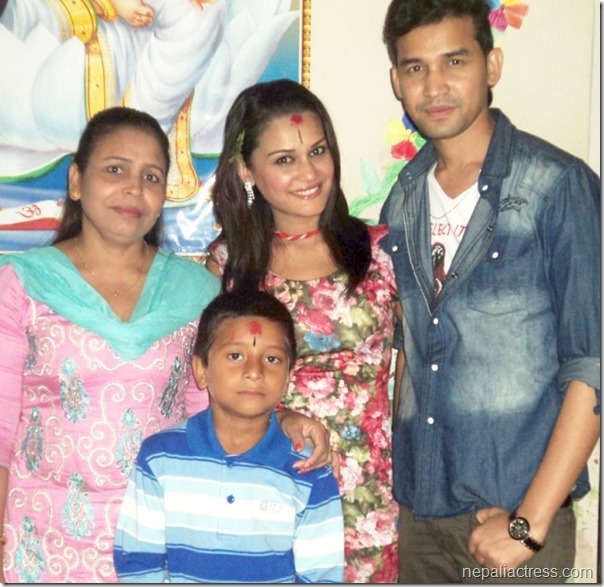 Actress Keki Adhikari shared photos of the celebration in her website Keki.info. 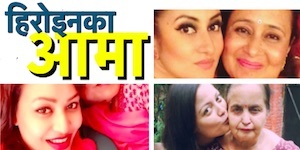 Another actress, Rekha Thapa celebrated Dashain with her ex-husband Chhabi Raj Ojha and her latest release ‘Kali’ lead Kishor Khatiwoda. Last year, she was seen with Sabin Shrestha the lead actor of her release at that time. 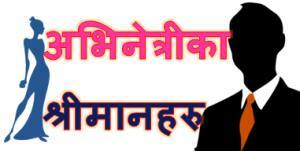 More Dashain celebration photos are posted by our friends at xnepali. This entry was posted in News, Photo Gallery and tagged Dashain, Keki Adhikari, Komal Oli, Namrata Sapkota, Nisha Adhikari, Priyanka Karki, Simpal Khanal, Sumina Ghimire. Bookmark the permalink.